Bluetooth support is a missing feature on most Arnova G2 tablets, apart from the Arnova 7c G2 which has a different hardware. Missing support in the device kernel and system can be added thru kernel modules, to make some external USB Bluetooth dongles work. 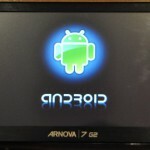 Fenice57 already did that a while ago on his custom firmware for the Arnova 7 G2. What do you mainly use Bluetooth for ? We have started to adapt our custom firmwares for the Arnova G2 tablets to include Bluetooth support on the devices that offer an USB Host feature. 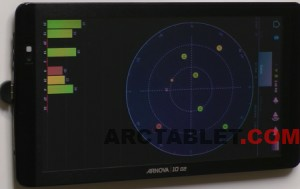 These firmwares should be published shortly, starting with the Arnova 10 G2. The setup to support Bluetooth on the Arnova tablets requires an USB Bluetooth dongle to be connected to the USB plug on the tablet, directly if the device has full size USB connector or using an USB Host cable. The USB dongle must be based on a chipset made by CSR (Cambridge Silicon Radio, the company has actually been bought by Samsung two days ago), other chipsets are not supported at the moment. We successfully tested the Daffodil 06M dongle below to be compatible. USB Host cable, sometimes named USB OTG cable is used to connect the Bluetooth USB dongle (full size USB) to the tablet micro USB port. The Arnova 9 G2 and Arnova 10 G2 already have a full size USB Host connector and do not require the USB OTG cable. As you can see on our video, once you have loaded our custom firmware (to be published soon) you will need these two applications to use a Bluetooth GPS on your tablet. Both applications are available for free on Google Play. You can then use any application that supports a GPS, including Google Maps. So far we have only tested GPS support with this Bluetooth setup, we will update this article when we discover more possibilities. The tablet does lock up when going into sleep mode when the Bluetooth / GPS module is being accessed. Thanks to Fenice57 for the Bluetooth kernel modules. 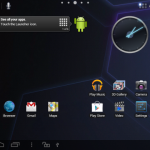 We’ve tried, without success so far, as we had some troubles with Android Bluetooth support and Android 4.0 ICS / 4.1 JellyBean. Is there any Bluetooth for 10bg2? D:? Any news yet on the bluetooth for the 9 g2 yet. didn’t find any link for 10g2 firmware. Can somebody post it please ? Thanks for this update, can now start using my tablet for navigation and other things, keep going the good work, Thank from the netherlands! where is the firmware for 7 2g???!! please help admin. How I can add bluetooth support to my frimware? Which prorgam I need to use? Please help : I can’t turn on Bluetooth on my tablet Archos 9 G2. Bluetooth File Transfer and Bluetooth GPS just trying to turn it on but nothing happens. Any news on bluetooth for the 9g2 running ics? I have my usb bluetooth ready and waiting, great work so far. 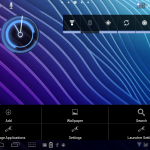 This works on Arnova 8 G3 ? Not yet, we may do an update later. Not work? Where have you take the firmware for test??? I’ve no see the links! The firmware with bluetooth support is released? Is there any plan to release the firmware for Arnova 9 G2? Thank you! Yes, it’s in the plans it should be published later this month (for Android 2.3 Gingerbread at first and hopefully for Android 4.0 ICS later). Is there any update on the firmware for the 9 G2 ? I have used the Arc tools 0.68 EZ 2.1 to download the test system on to my 10G2 also got the Bluetooth dongle using the Amazon link provided.My machine has re started fine I have got both Apps from market as seen in the video, there is a light on from the dongle but I cannot turn the Bluetooth ( BT) on. On the Bluetooth file transfer App it just hangs on please wait ” turning on blue tooth”and doesn’t connect. Have I missed a setting out somewhere I have followed the video to the letter? 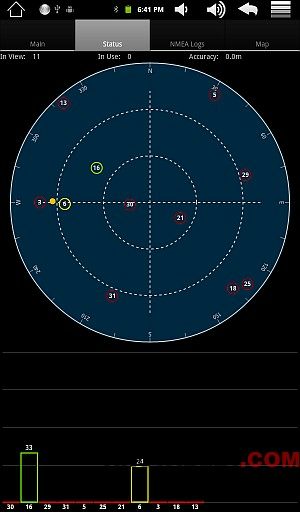 (build No GINGERBREAD .eng.hwg.20119013.192033. Any help greatly appreciated. Is this firmware available for arnova 7bg2 ? 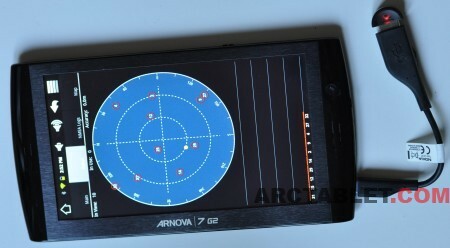 There should be one for the Arnova 7b G2 DT (resistive Dual Touch) soon. A custom firmware with bluetooth dongle support! 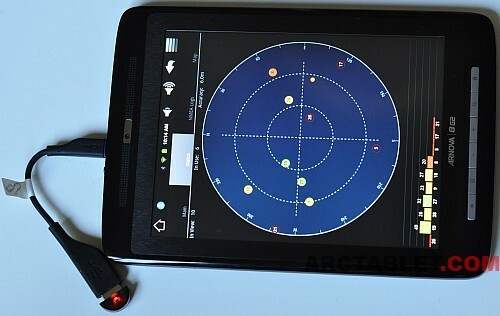 Is the first firmware that support it for ARNOVA10 G2. I can’t wait….. i must try it as soon as possible!